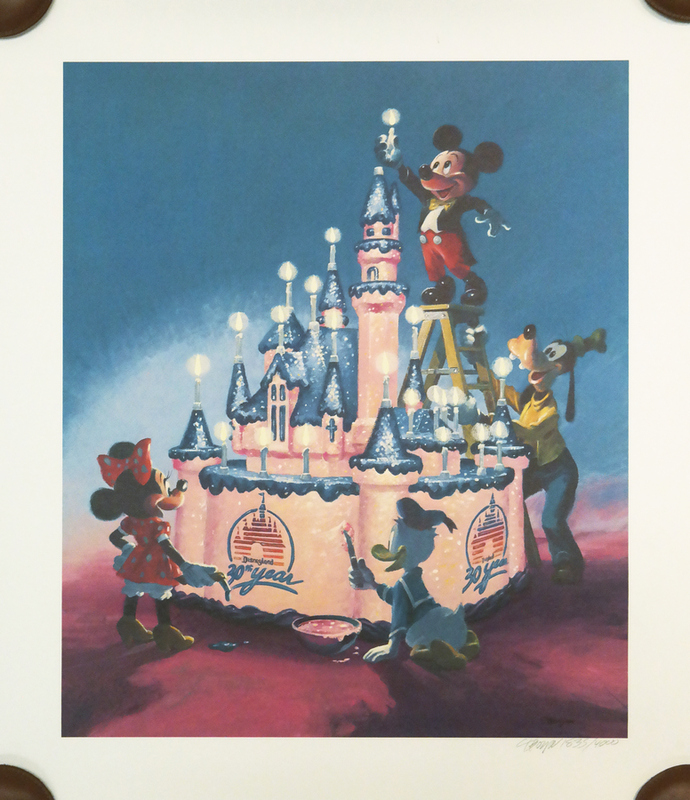 This is a lithographic poster print design by Charles Boyer celebrating Disneyland's 30th Anniversary in 1985. 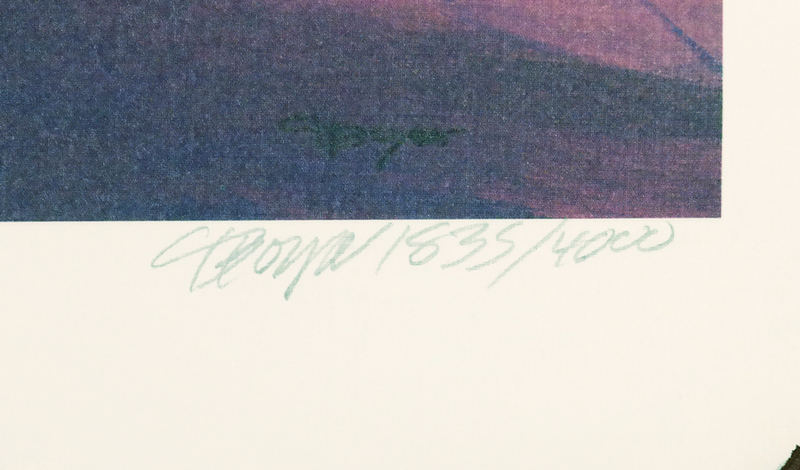 The print is signed by Boyer, and is number 835 from and edition of 4000. 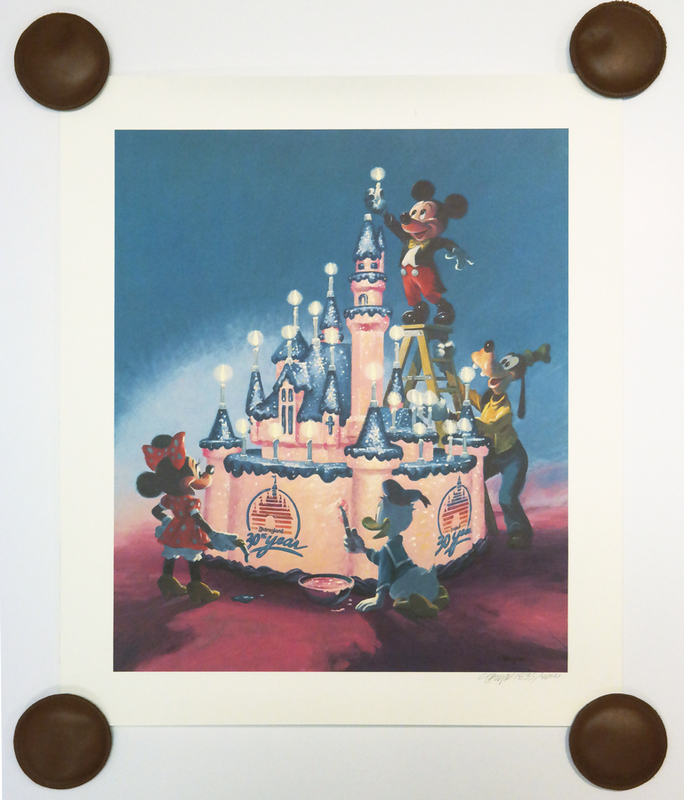 The poster measures 24.5" x 21", with the image itself measuring 20.5" x 17". The piece is in very good condition, with some light edge wear from handling as well as a pale red 0.25" mark in the top white border.